In today's modern application reporting part is very important to fulfill the clients complicated requirements . 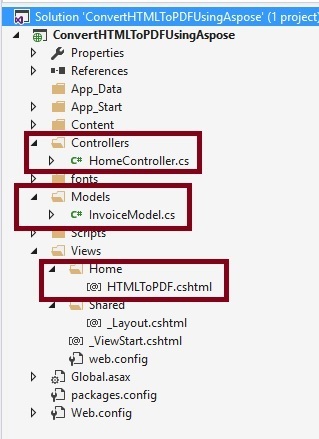 However in today's client based technologies applications like pure HTML or ASP.NET MVC application using Reporting server such as SSRS or other is very risky in terms of performance and maintenance so the best way to deal with this problems is to make Invoice or reporting template in HTML format and convert it into the PDF or other format as per requirements with the help of Aspose.Pdf etc. In MVC application there is often need to convert HTML to PDF format So in this article we will learn how to convert HTML to PDF using Aspose.PDF for .NET . So lets learn step by step how to achieve this task in easy way. Creating ASP.NET MVC application to use Aspose.PDF. 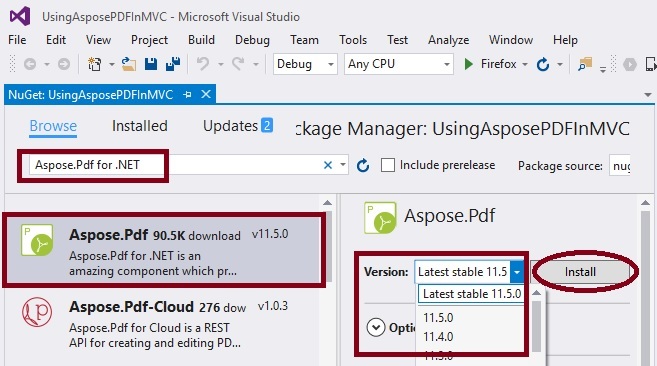 Add reference of Aspose.Pdf for .NET APIs from NuGet package manager using visual studio 2015. Purchase or get the temporary license of Aspose.Pdf for .NET product. Applying and how to Aspose.Pdf license in .NET project. Ensuring Aspose.Pdf license is applied or not . 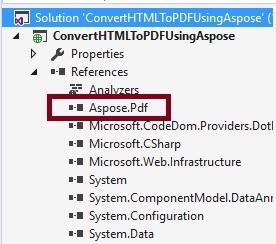 How to convert HTML to PDF using Aspose.Pdf for .NET APIs . Aspose.Pdf for .NET is a set of PDF APIs for document creation and manipulation that enables your .NET applications to read, write and manipulate existing PDF documents without using Adobe Acrobat. It also allows you to create forms and manage form fields embedded in a PDF document. 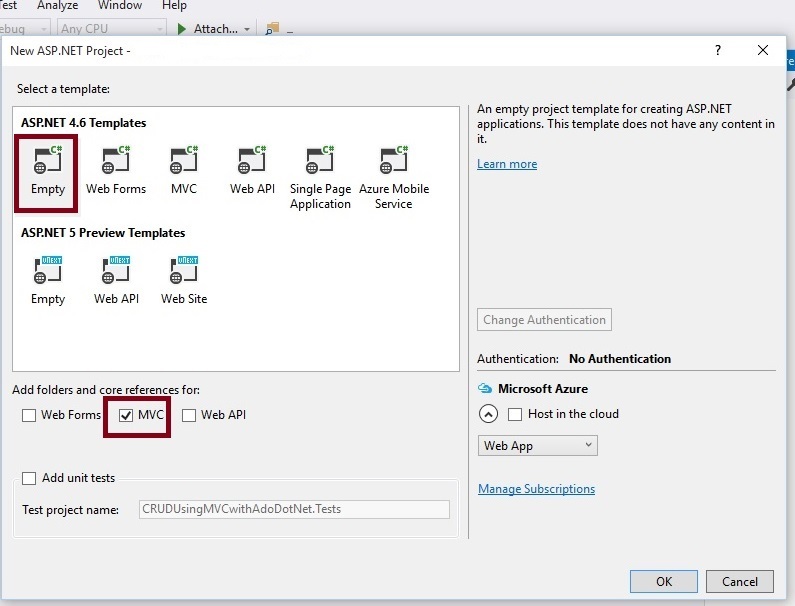 This APIs are written in managed C# and it allows developers to add PDF Creation and manipulation functionality to their Microsoft .NET application. Following are the some key and incredible features of Aspose.Pdf APIs. Add , update , delete extract or insert pages. After as shown into the image and type in search box "Aspose.PDF". Select Aspose.PDF as shown into the image . Choose version of Aspose.PDF APIs and click on install button. In preceding image you can see that Aspose.Pdf APIs is successfully installed in our project. It is not mandatory that Model class should be in Models folder, it is just for better readability; you can create this class anywhere in the solution explorer. This can be done by creating different folder names or without folder name or in a separate class APIs . Step 5: Create Method into the HomeController.cs file. string PdfHtmlTemplate = @"<table border=2 width=100%"+">" +@"
Step 6: Create strongly typed view named HTMLToPDF using InvoiceModel class . Right click on View folder of created application and choose add view , select InvoiceModel class and choose 'List' scaffolding template as. Step 7 : Now run the application. In the preceding Images , lets consider the preceding the transaction receipt which we wants to Export into PDF. Now click on Export to PDF button . It will generate the PDF file in our specified location as. 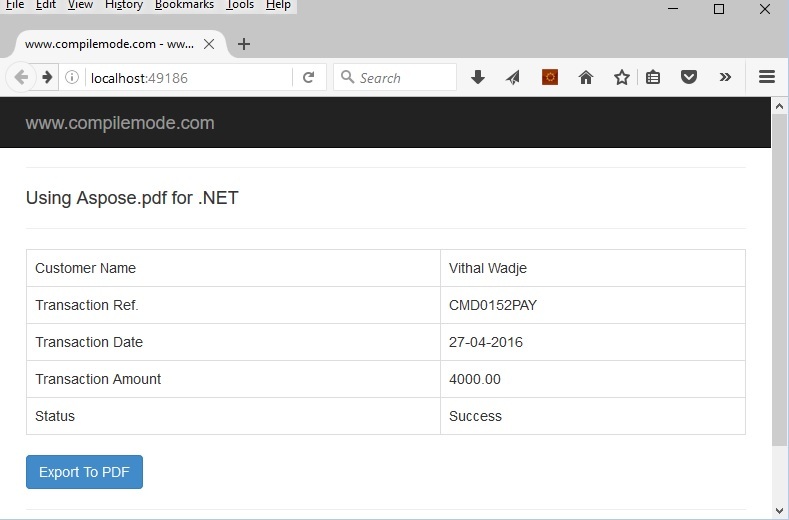 I hope from all preceding examples we have learned how to convert HTML to PDF using Aspose.PDF in ASP.NET MVC. Create an XML file and convert it into PDF with Aspose.Pdf for .NET . 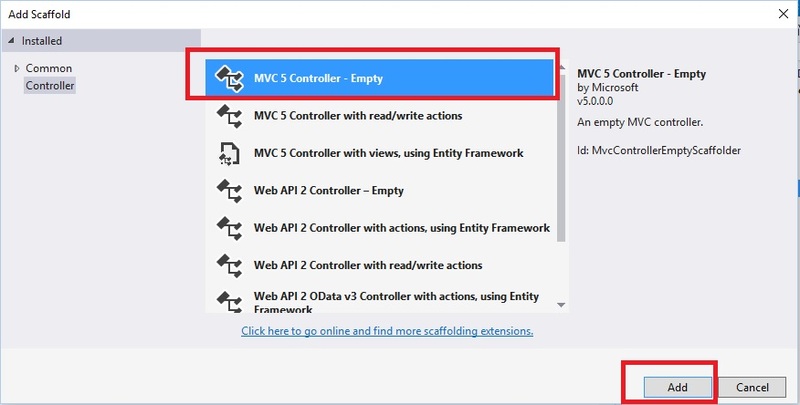 Convert Model Class Generic List Into XML File In ASP.NET MVC 5 .